Grenache is so exuberantly fruity and fun that one sommelier has compared it to Twizzlers. Megan Krigbaum explores the newest California versions. The truth is, there was no way I wasn’t going to love the wine I had that night. I’d spent the day roaming California’s Big Sur, where my husband and I were staying in what was essentially a tree house at Deetjen’s Big Sur Inn; we’d also managed to get on the list for a moonlit soak in the hot springs at Esalen. We sat down for dinner at Big Sur Bakery and ordered wood-fired romano beans and a greens-and-mushroom pizza. From the wine list, I picked the Birichino Besson Vineyard Grenache, a Santa Cruz wine I’d never had before. There are wines that are meant for pondering, mulling over their structure and ageworthiness. This Grenache wasn’t one of them. It was twinkly and ruby red with exuberant red cherry flavor: pure, immediate pleasure. I’d had Grenache like this before, specifically from France’s Rhône region, where the grape reaches its greatest heights. June Rodil, a sommelier in Austin, described these wines to me as Twizzler-esque, because they’re so fun to drink. Grenache, however, can also be challenging to make. The grapes need a lot of time to ripen; but if harvested too late, they tend to accumulate sugars, resulting in flabby, boozy wines. Many California versions I’d tasted in the past were like that. 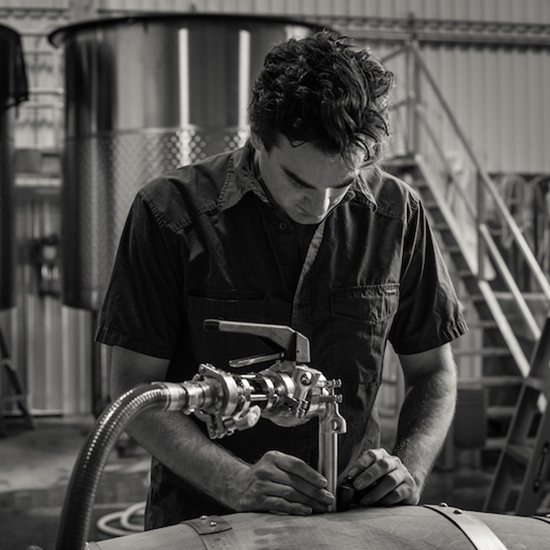 Lately, though, I’d been hearing about a handful of young winemakers who were sourcing fruit from distinctive Central Coast vineyards, producing bottlings worth seeking out. Back at work, I filled the F&W Tasting Room with Central Coast Grenache. One was a single-vineyard wine from Angela Osborne’s A Tribute to Grace. Her 2013 Santa Barbara Highlands was very pale in color, almost rosé pink, which belied the wine’s intense strawberry-jam flavors. It occurred to me that this was the sort of wine I could drink for lunch every day. Winemaker Ian Brand of La Marea makes a Grenache with fruit from Spur Ranch Vineyard in San Benito County. The vineyard was planted 20 years ago in an ancient limestone seabed; Brand described the crumbly soil as looking like the surface of the moon. The wine was spiced, with an olive-y edge that evoked the Rhône wines I love. Brand also produces a Besson Vineyard Grenache. His version was a bit quieter than the Birichino I’d had earlier in Big Sur, but just as compellingly drinkable. Besson Vineyard is overseen by George Besson, Jr., whose family planted it 105 years ago and refused to sell the land even during the long housing boom that has dominated the area over the last 20 years. “This site really does have a very particular flavor that’s not shown up in any other that I know of,” Birichino’s John Locke told me on the phone. “It’s perfumed, light in color, slightly savory.” When he and Alex Krause launched the winery eight years ago, they knew they wanted to make Grenache from Besson Vineyard fruit. Thinking about the bottle I’d had in Big Sur, I wondered if vacation brain had clouded my judgment. Could the wine really have been so delightful? I asked the winery to send another bottle. And while sitting on the couch at home one night, I poured a glass for my sister. “What is this?” she asked, impressed, and I knew the wine really was that good, sans cliffs and springs and wood-fired anything.